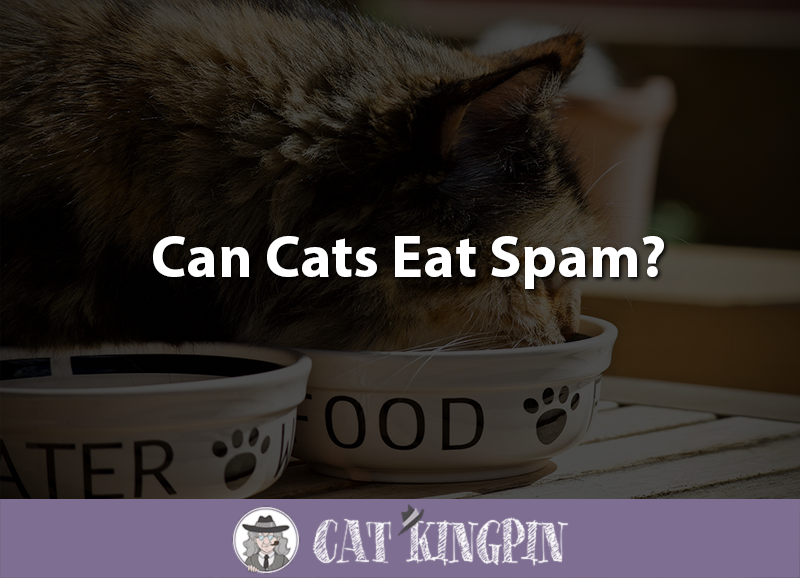 » Can Cats Eat Spam? Whether you love it or hate it, Spam is an American cultural icon. It can be found in nearly every supermarket and convenience store across the United States. There are tons of different ways to prepare it, but should you ever share it with your cat? Can cats eat Spam? Since cats are meateaters and Spam is a meat product, it seems like giving your cat a piece of Spam once and a while wouldn’t be a big deal. But the truth is a little more complicated. Keep reading to find out more. Spam was introduced to the American market in 1937. Originally created to provide a low-cost meat product with a very long shelf life (refrigeration was more complicated in the 1930’s), Spam became a huge hit during the Second World War. At that time, there was a huge demand for meats that could be sent abroad to the troops. The world’s fascination with Spam never really dissipated, though. Now it seems to be one of those foods that people either love or hate. The main ingredient in Spam is pork. While cats fare best on a meaty diet, Spam really isn’t the best meat to offer your feline friend because of its high fat and sodium content. They really shouldn’t. While Spam doesn’t contain any ingredients that are poisonous to cats, Spam is extremely high in sodium and fat. Cats can safely ingest roughly 40 milligrams of salt per day, and one serving of Spam (about 1/6th of a tin) contains nearly 800 milligrams. That’s way too much salt for a cat. This cat is really going to town on a can of Spam he found in the garbage. Hopefully there was only a little bit left and he found something with a little less salt to munch on next! Definitely don’t give your kitten Spam. Kittens are still growing and will be the healthiest if fed a diet of high quality kitten food. Blue Buffalo Healthy Growth, for example, is grain-free and lists meat as the primary ingredient. Your kitten definitely doesn’t need the sodium in Spam. 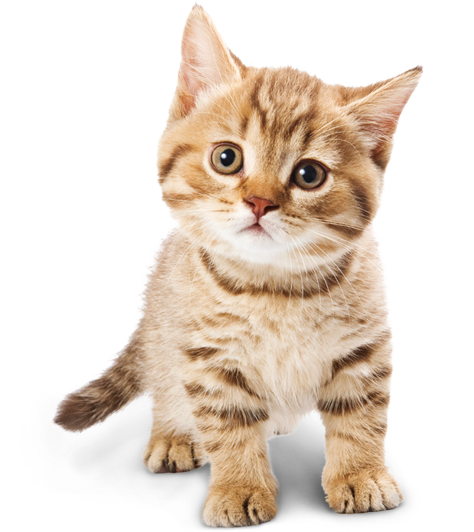 In fact, their tiny digestive systems might not be able to handle it and it could make your kitten sick. It’s also not a good idea to get too creative with your kitten’s diet because you want them to get used to eating cat food. If your kitten found out about Spam and other types of cured meat, why would they want to eat the boring old dry food you put in front of them every day? There really aren’t any benefits to feeding your cat Spam. While it does contain a good amount of protein, your cat should receive all the protein they need from their daily diet of cat food. The bottom line is that Spam contains a ton salt which isn’t healthy for your feline friend. That being said, a tiny bit of Spam is unlikely to harm your cat. And when we say tiny, we mean it! Any piece of Spam that you feed your cat should be no larger than a dime. As long as you don’t go overboard, sharing a tiny piece of Spam with your cat can strengthen your bond and is a great way to give your kitty a special treat. Spam contains roughly 800 milligrams of sodium per serving (about 1/6th of a can), about 20 times the amount of sodium your cat should consume a day. Spam contains quite a bit of saturated fat which can cause digestive upset in your cat. If you notice your cat vomiting or having diarrhea after ingesting Spam, keep a close eye on them and don’t give it to them again. If the symptoms continue for more than 24 hours, take them to your vet. The pet industry is well aware of the fact that cats love meat, so there are plenty of cat-safe alternatives to Spam for you to choose from. Honestly, as long as the treat is meat-flavored, your cat probably won’t mind if it’s not made from Spam. The best cat treats for your cat are ones that are soft, grain-free, and made from high quality meat such as Blue Wilderness Cat Treats. Soft meaty treats are like this are awfully similar to the consistency of Spam, so it’s the perfect trade off. If it’s just the flavor of pork that your cat is after and you’d rather skip the cat treats, ham can be a healthier alternative to Spam. You can offer your cat small pieces of unflavored, low sodium ham. Cooked turkey is another option. It contains fewer calories and is generally less processed. People have also fed their kittens quinoa before! So, can cats eat Spam? It’s better not to give your cat Spam, mostly due it its extremely high sodium content. And you should never give it to kittens, whose young digestive systems may not be able to handle even the tiniest piece. But if you can’t resist their begging, you can offer them a tiny piece of Spam as an occasional treat. Just keep an eye on them and make sure it doesn’t cause them to have any digestive issues. Be sure never to give your cat Spam more than once in a blue moon, and make sure they are truly small pieces! Is your cat a Spam fanatic? How do you satisfy their craving without sacrificing their health? We want to hear all about it; let us know in the comments!